Not only did the first season of the series capture the hearts and minds of viewers, it became the highest rated season of any original series in Hallmark’s history. Now back for a second season, fans will continue to follow the adventures of Abby, Trace and the rest of the Chesapeake Shores family. One of the reasons for the series success is the work of the talented Meghan Ory who plays Abby O’Brien. In the first season, Abby had to deal with changing jobs, a divorce and the possibility of rekindling an old romance. As Season 2 progresses, what will life have in store for Abby and Trace? Will there be an issue with Wes? Only time will tell and we are sure fans of the series, known as "Chessies", will tune in each week. 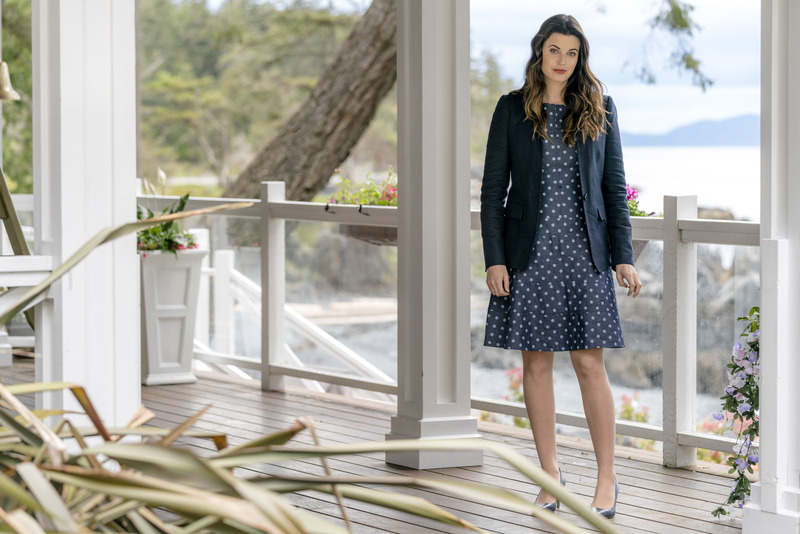 We sit down with the lovely Meghan Ory to talk about Abby’s relationship with Trace, the tension this may bring with her ex Wes and what fans can look forward to with the rest of Season 2 of Chesapeake Shores! Pop Culture Principle - The first season of Chesapeake Shores was the Hallmark Channel’s highest rated season ever for any of its original series. Were you surprised by the quick success of the series? 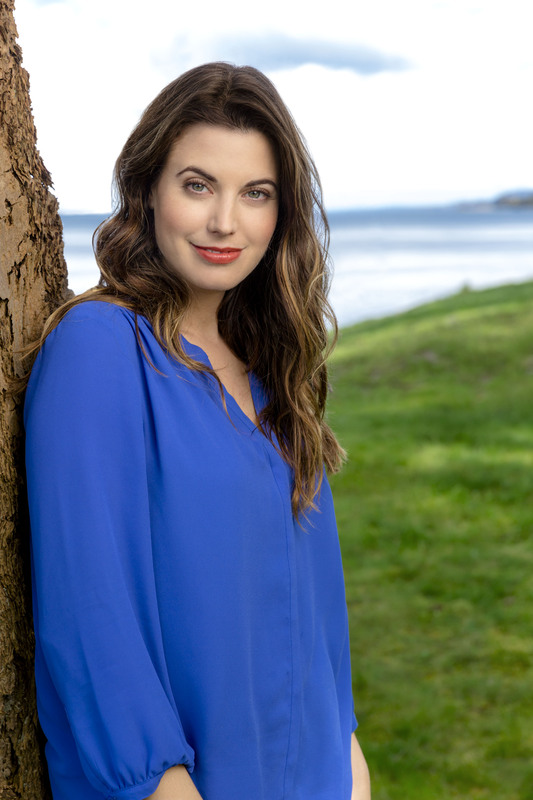 Meghan Ory - It's always exciting when an audience enjoys the show you have spent months making for them, particularly since we film Chesapeake Shores on an island, in a little bubble away from the world. You never know how it's going to be received and it was very gratifying that people liked it so much. Pop Culture Principle - Why do you think a series like Chesapeake Shores has resonated so well with its viewers? Meghan Ory - I wish I knew the answer to that. For me, one of the reasons I loved the show in the beginning is that I loved the O'Brien family and wanted to spend time with them and get to explore their lives and stories. I think sometimes it's nice to watch something where you just enjoy spending time with the characters. Pop Culture Principle - With such success with the first season, do you and the cast feel any added pressure to live up to and surpass the success of the first season? Meghan Ory - I think that's always in the back your head a little bit. Obviously, we want to do the show justice and hope the audience will like this season as much as they did before. At the end of the day though, all we can do is tell the stories we feel are right for the characters and hope the fans enjoy it again. Pop Culture Principle - Now that you are in the second season of Chesapeake Shores, do you feel you have a grasp of who Abby truly is? Pop Culture Principle - The cornerstone of Chesapeake Shores is the relationship between Abby and Trace. Will we continue to see the ups and downs with their relationship in Season 2? Meghan Ory - One of the things I love most about a good love story is you never know what's going to happen. Trace and Abby are certainly no different and something I love about season 2 is seeing how they navigate this relationship which is on one hand so familiar and comfortable yet also brand new and full of complications. Pop Culture Principle - In Season 1, Abby not only had the possible rekindling of a relationship with Trace, but she also had to deal with her ex-husband Wes and her custody fight for their daughters. Will we see any tension between Trace and Wes in Season 2? Meghan Ory - Season 2 definitely brings with it complications and Wes is certainly one of them. When there are exes involved and new romance I think it's safe to say there will also be tension! Pop Culture Principle - We still see Abby has somewhat of an issue with Trace working with Leigh although being reassured by Trace that there is nothing there. Will that still be in the back of her mind for Season 2? Pop Culture Principle - We are starting to see a theme reoccur in the series and that theme is family and business. First, we have Trace and Mick and the music club, now we see Abby is looking into a deal that Mick is involved with. How will this theme affect the family dynamic, if at all in Season 2? Meghan Ory - Work and how the family relates to work is absolutely an issue for all of the O'Briens. That is a big thread that you will see run through the season and how everyone deals with it in their own ways. Pop Culture Principle - New people are being added to this season’s cast including Cameron Bancroft and Gregory Harrison. How have they fit into the dynamic of the cast and series? Meghan Ory - I haven't worked with Cameron but Gregory Harrison is wonderful. He and Treat Williams were on Broadway together years ago and it is always a special start to the day when the two of them burst into show tunes together. They need to join the Trace Reiley Band! Pop Culture Principle - The town of Chesapeake Shores has become its own character in the series. Would you agree with that and why? Meghan Ory - The town of Chesapeake Shores is absolutely a character. The locations we film in are so spectacular, it can be distracting when we are filming and a deer wanders into a shot or an eagle flys by. There was one scene we were shooting and a momma Goose waddled into the background followed by about 10 little goslings. Everyone got so excited and I think we even got it on film. Pop Culture Principle - Although Chesapeake Shores is an ensemble show, each character gets their chance to shine in the spotlight. Would you agree with that? Meghan Ory - Absolutely. One of my favorite things about Season 2 is we get to explore the rest of the O'brien family in more depth. It's so nice to find out more about the siblings and what makes everyone tick. Pop Culture Principle - What can fans look forward to with Abby and the rest of the second season of Chesapeake Shores? Meghan Ory - Abby is still adjusting to life in a small town and being home again, particularly how to navigate all of it. As always her kids are her number one focus and the most important thing for her is making sure they are adjusting to being in a new town and school and making friends. As well, She has new responsibilities at work she was never expecting and then on top of all that she has a new relationship she's trying to navigate and an ex-husband. Needless to say, once again, Abby's plate is very full! A big thank you to Meghan Ory for taking time from her busy schedule to talk with us! 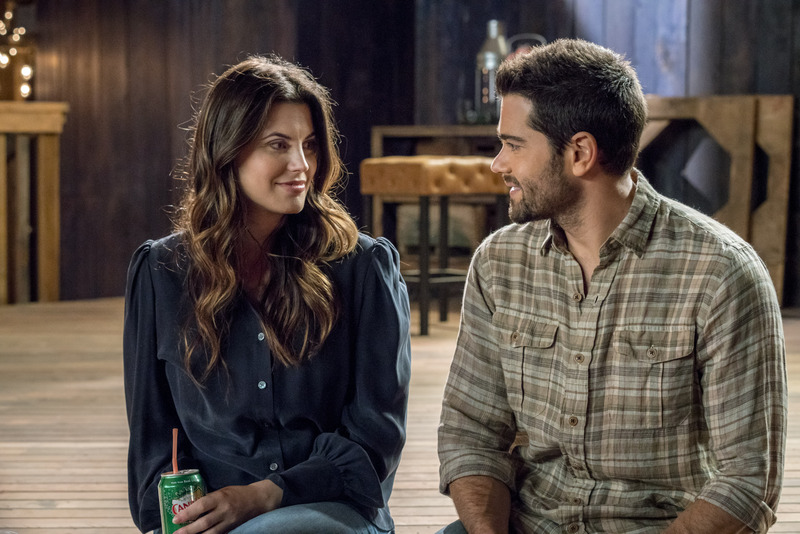 You can catch brand new episodes of Chesapeake Shores every Sunday night at 9/8c only on the Hallmark Channel!